The bag has a zip fastening with signature logo embossed mirror zip pull, together with a concealed magnetic snap fastener which joins the bag in the middle when folded over. Inside, the bag is lined in a black and beige cotton striped fabric and there is a zip pocket and a mobile phone holder. An iconic style, Lulu Guinness introduces these snakeskin clutches each season, so they are always bang on trend and never out of fashion. 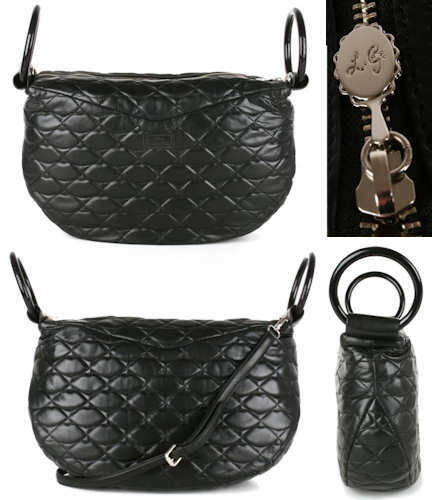 The bag has a zip fastening with silver tone Lulu Guinness logo zip pull – which is designed to look like a little mirror. Style note: This is a versatile style which can be worn either cross body using the included strap, or just slipped on over the wrist with the dainty handles. I particularly like the way the bag folds up and the perspex handle rings come together – this is a really unique feature. It would make a very stylish change from an ordinary day bag. 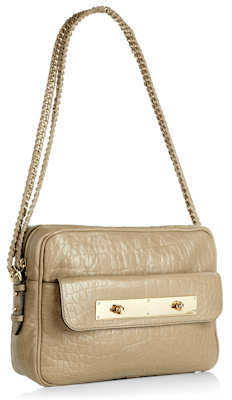 The Mulberry Carter Camera Bag is a boxy shaped bag in croc nappa leather. 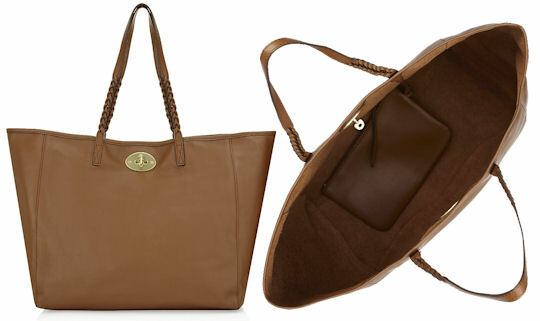 It is from Mulberry’s new Carter range of retro shaped bags. Like the bigger Carter double handled bag, the camera bag has one main compartment with a zip top fastening. 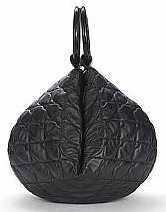 The inside of the bag is lined in signature Mulberry tree fabric, and there is one zip pocket and one slip pocket, together with the Mulberry tree branded metal fob. There is also an external slip pocket on the front of the bag which has the Carter double twist lock fastening. 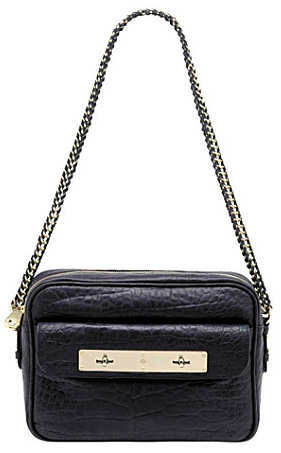 The bag has a single twisted chain and leather shoulder strap. All the metalwork on the bag is soft gold in colour. Measurements: 20cm / 7.8″ x 27cm / 10.6″ x 7cm /2.8″; handle drop 25 cm / 9.8″; (all measurements are approximate). Style note: This is the smaller version of the Mulberry Carter bag which has the same updated turnlock fastening on the front, combined with the retro square shape to create a modern classic design. Lauded by the press, this bag is likely to be big seller over the AW2011 season. Get yours whilst you can. The Christian LouboutinCarillon Clutch Clutch is available in either black satin or pewter nappa leather and is embellished with sparkling sequins. This Christian Louboutin clutch features the trademark red signature lining and it fastens with a shoe inspired clasp. Measurements: Height: 11.5cm/ 4.5″, width: 18cm/ 7″, depth: 5cm/ 2″. Style note: This extravagant clutch is as suited to the red carpet as it is the dinner dance, and will add a touch or Parisian Chic to every ball gown and evening dress you team it with. 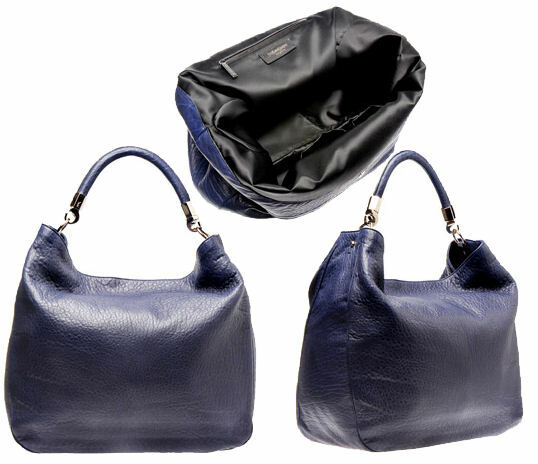 This large blue Yves Saint Laurent nappa leather tote bag has a single top handle. The hardware is silver coloured and a magnetic stud fastening secures the main compartment. 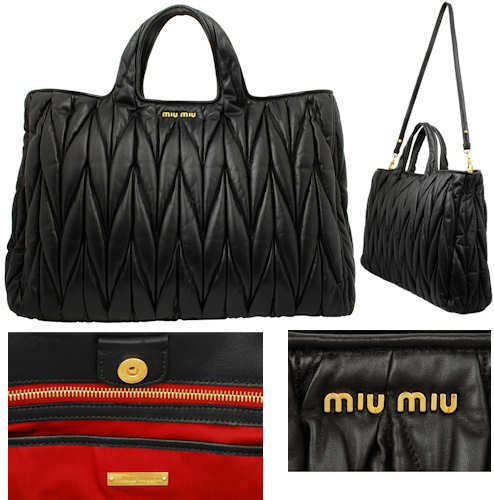 Inside, the bag has two slot pockets and one zipped pocket, and it is lined in a black satin material.